Basseterre, St. Kitts, July 01, 2016 (SKNIS): Prime Minister of St. Kitts and Nevis, Dr. the Honourable Timothy Harris, has rubbished claims that his administration is rife with dysfunction and that there have been attempts made to strip him of his position as prime minister. Speaking at his monthly press conference on June 29, 2016, Prime Minister Harris indicated the Opposition has initiated its propaganda machine with the aim of eroding confidence in the Government of National Unity. “You are going to hear more from the propaganda machine. You will hear that there has been a conspiracy against Harris and that Harris has been given one month to go and someone else will take over,” said Dr. Harris. 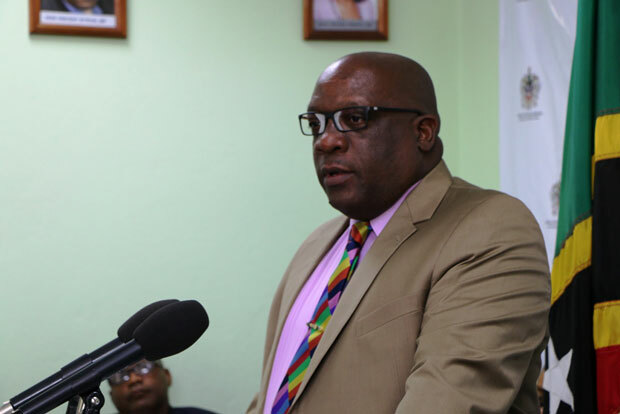 Thanking the members of the Cabinet, Prime Minister Harris said that his government’s commitment to the people of the Federation has never wavered. He asserted that the country will never have a reason “to regret that they, faced with a choice, chose Team Unity and gave the country an opportunity for reconciliation, for healing and for national unity.” This according to Dr. Harris, is a mandate that his team will never take for granted.